Herbie continued her journey south this past week travelling approximately 35 kms a day until she reached Amatikulu where she stopped and spend a couple of days exploring. This area cannot be described as having an abundant food source as there are limited reefs and therefore we did not anticipate she would linger too long before continuing her journey southwards. 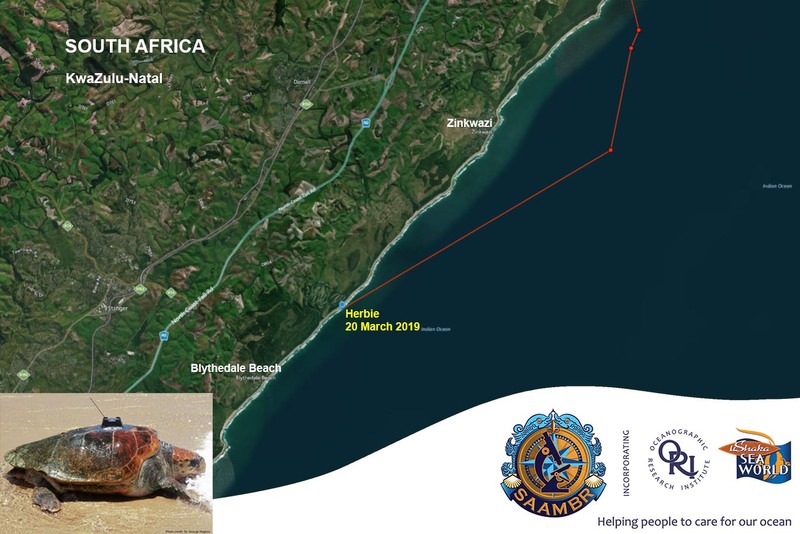 As expected on the fourth day she started heading south, and as can be seen from her map, has almost reached Blythedale. (The accuracy of the satellite reading is influenced by the strength of the signal. 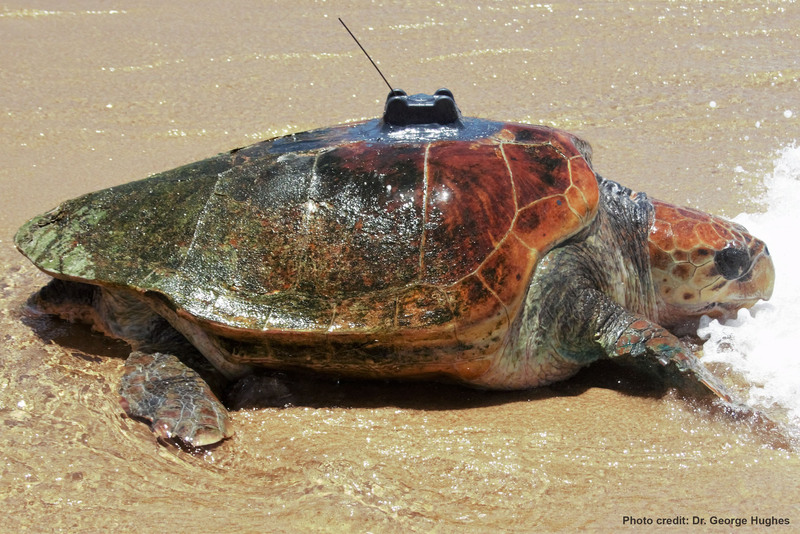 Factors such as cloud cover, wind speed and how long Herbie stays on the surface of the water will influence the signal. A normal signal is often as much as 1.3 kilometers out).